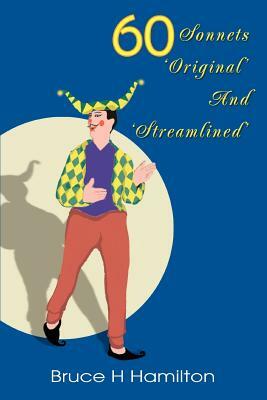 "60 Sonnets 'Original' And 'Streamlined'" respects poetic traditions. The main feature of the collection, an aggregation of 120 Shakespearean sonnets, may be a recurring movement in favor of rigor that has no punctilious formal traditionality. Whatever subject matter might be seen in various examples, many of the sonnets might seem gripping; however, the entire secret of "60 Sonnets 'Original' And 'Streamlined'" probably ends up being in the strict form of the Shakespearean sonnet itself as that basic structure repeatedly is 'honored and obeyed' at least in terms of rhyme pattern, meter, and the requisite number of lines. Here are the opening stanzas of "CLXXIX" and "179"
man still will scarcely have the power to see. is no real proof that humans can have grace.
" The book's main thrust is highly linguistic--highly grammatical--in that the derivative (the 'streamlined') versions may tend to have veneers that seem otherworldly.